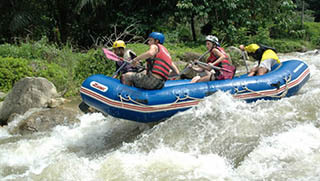 Kapong Safari Tour guarantees one thing only, you will have the time of your life. This is one of the most exhilarating tours there is to do, it really does have a little bit of magic about it. The best way to live a true “local experience” off the beaten track in the Thai jungle. The hillsides of Phuket are covered by thick tropical rain forest, a great place for outdoor activities such as the famous Flying Hanuman Zipline. 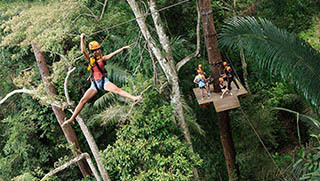 Fly from tree to tree and follow the Sky-trek to explore Phuket’s jungle. 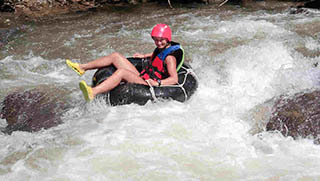 Enjoy an action packed adventure in a natural environment. Private Phuket Island Hopping Tours & Cruises with our Speedboat or our leisure cruisers. Half Day Tours, Full Day Tours, Overnight tours, Dinner cruises. We have boats suitable for all group sizes and itinerary can be tailor made. The best way to visit the islands off Phuket. 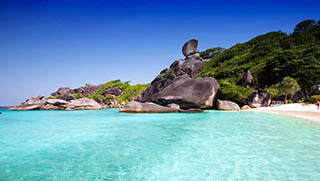 The water around the Similan islands is crystal clear and flat calm. perfect for a day out snorkeling. The reefs are in shallow water allowing you to get up close and personal with hundreds of fish. Surin Islands are beautiful, offer the best snorkeling and are not crowded. 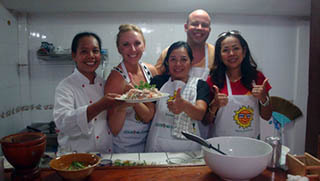 Phuket Cooking Class a la Carte – An Easy Day Phuket activity that offers a Private Thai Cooking Class at a local house, so you will have a touch of home stay in Phuket and at the same time learn Traditional Thai Cuisine. Private classes with ersonal assistance only for you! 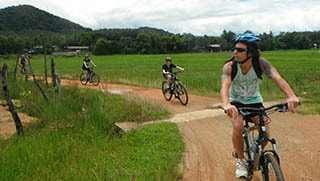 Join cycling tours around Phuket, Krabi and Phang Nga and immerse yourself in the culture, eat with the locals, experience nature and wildlife and witness some spectacular breath taking scenery. A great way to enjoy the local experience while keeping yourself fit! Have some wave smashing fun in Phang Nga Province. An action packed ride down the Tone Pariwat river. You can also enjoy ATV rides, elephant trekking, flying fox rides and more. Choose the package that suits you best among the many available. Spend a day out on the tropical Andaman Sea and catch your own dinner. Daily Fishing trips with Easy Day Thailand. 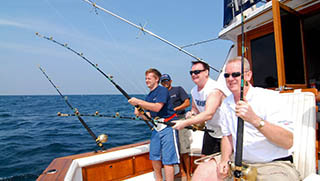 Our Private Fishing Trips are the best way to enjoy a day out at sea with personal attention from our friendly staff. We’ll make sure you won’t go hungry !! Phuket Scuba Diving Tours are available all year round. 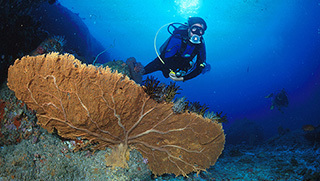 The dive sites are suitable for all levels of experience. 7 days a week we offer daily day trips on board MV Sea Fun to all top dive sites around Phuket. Non-diving partners are always welcome on board. 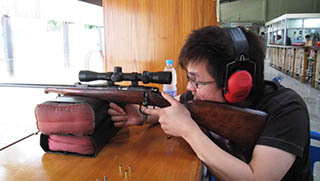 At Kathu Shooting Range in Phuket you can let off the steam firing a wide selection of real guns including revolvers, semi automatic pistols, sniper rifles and shot guns. No particular experience is required, the friendly and expert staff will assist you in everything. Elephant Trekking Phuket. 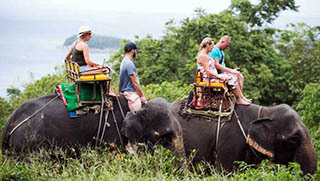 Daily Elephant Trekking trips through the tropical Jungle. We offer a wide range of elephant experiences, from simple Elephant Rides to Elephant Bathing & Observation. We partner only with the most ethical elephant camps.